Introduction of the Wedding party: “Bring ‘Em Out” by T.I. I knew this was going to be a great wedding reception, and it was! Julia had the biggest smile on her face every time I looked at her and the wedding party (and guests) all looked like models! 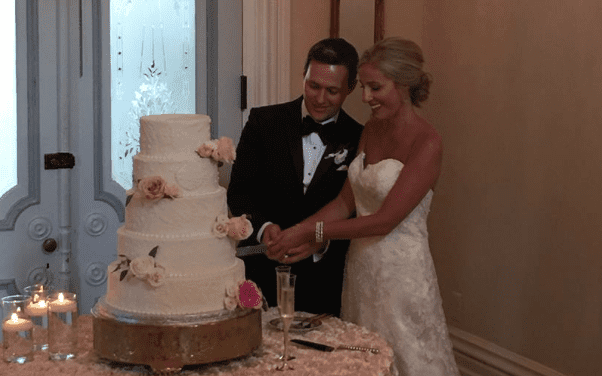 Their ceremony was held earlier in the afternoon at St Francis of Assasi church and guests roamed around downtown Raleigh waiting for the reception to begin. The cocktail hour was held in the house and the 160 guests enjoyed cocktails and passed hors d’oeuvres that were delicious! Great job Beau!! After the cocktail hour, the guests made their way to the carriage house for dinner and dancing. 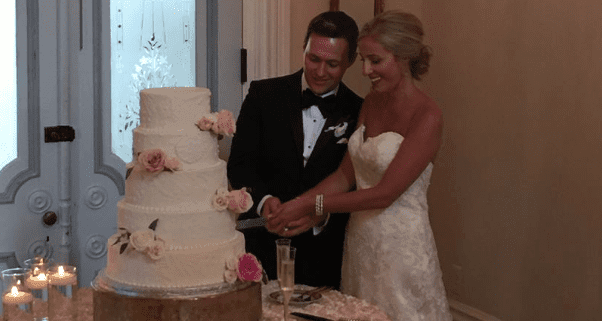 Before the intros, Julia & Josh decided to cut the cake with only their parents and wedding party watching. I lined the wedding party up and got them ready for their entrance into the carriage house. I introduced them and Julia & Josh came in to thunderous applause for their first dance followed by a funny welcome by her father. The salads and entrées came out and I played a mix of standards during dinner. After dinner we had the toasts and parents dances, then opened the floor with some beach music, Motown and top 40 that kept young and old dancing for the next few hours. We paused briefly for the bouquet toss to “Single Ladies”, garter removal to “Pony” and toss to “Hot In Herre”, then back to dancing until the end of the night. We ended with some country sing a longs, “Sweet Caroline” and finally the last dance to “I Wanna Dance With Somebody”. One of the best moments of the night was a shirtless ring bearer running around with a Ghostbusters proton pack on his back shooting everyone on the dance floor. That may be the cutest thing I have seen at a wedding! This was one of my favorite weddings, and not one I, or the guests, will soon forget!